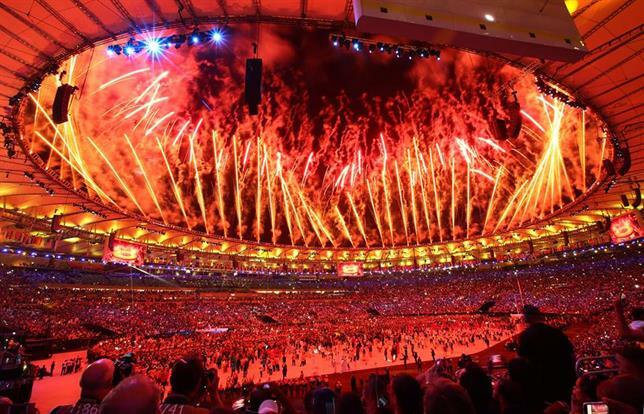 The 2016 Olympic ceremony in Rio kicked off by celebrating diversity from around the globe. [Image via Olympic's Facebook page]. Brazilian Judo champion, Rafaela Silva, who hails from a favela in Rio, won the country's first gold medal of the games. [Image via Banda B's Facebook page]. U.S. gymnast, Simone Biles, took home five medals, including gold for the Women's Individual All-Around. [Image via Biles' Facebook Fanpage]. The Brazilian Men's soccer team beat Germany, winning the team's first-ever gold medal, thanks to Neymar's winning penalty kick. [Image via Fifa's Facebook page]. Jamaican track and field phenom Usain Bolt won three gold medals and completed the "triple triple" before announcing his retirement. [Image via Bolt's Facebook page]. Swimming sensation Michael Phelps medaled in six events (five gold, one silver) making his grand total an unprecedented 28 medals. 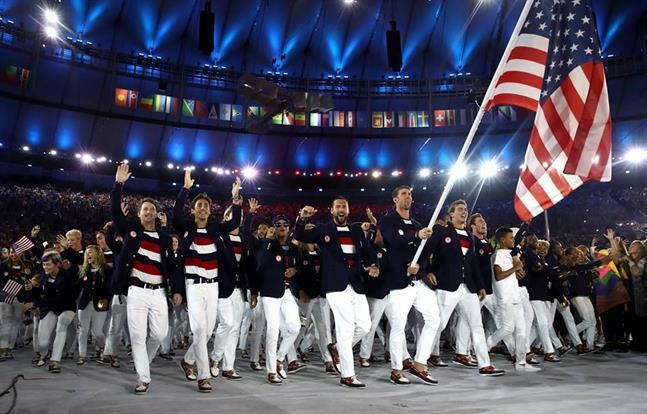 [Image via Phelps' Facebook page]. Fehaid Al-Deehan, who comes from Kuwaiti descent, won an Olympic gold for the Independent Olympic Athletes refugee team in the men's double trap shooting. [Image via ISSF's Facebook page]. Simone Warner became the first-ever African-Amerian female swimmer to win Olympic gold. [Image via ESPN's Facebook page]. South Korean gymnast, Lee Eun-ju, and North Korean rival, Hong Un-jong, taking a historic selfie. [Image via Twitter/Ian Bremmer]. Sixteen-year-old Brazilian gymnast, Flavia Saraiva might only stand at 4'4, yet she made a huge impression at her first Olympic games. [Image via Facebook]. Ibtihaj Muhammad won a bronze medal in fencing and became the first U.S. Olympian to compete in a Hijab. [Image via Muhammad's Facebook page]. At the closing ceremony, the torch was passed to Japan's Prime Minister Shinzo Abe, Tokyo being the host of the 2020 Olympics. [Image via Olympic's Facebook page]. 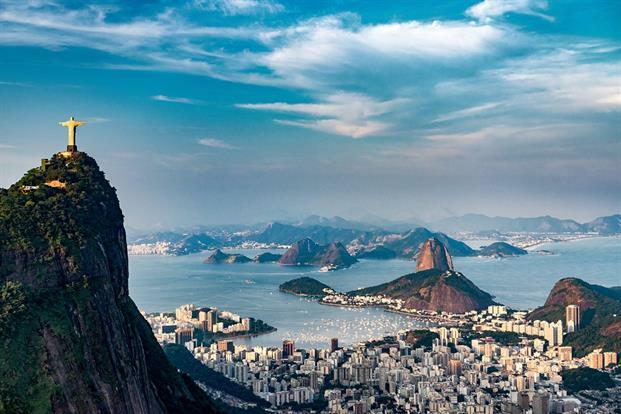 And finally, Rio's breathtaking Christ the Redeemer statue overlooking the city. [Image via Discovery Channel's Facebook page].